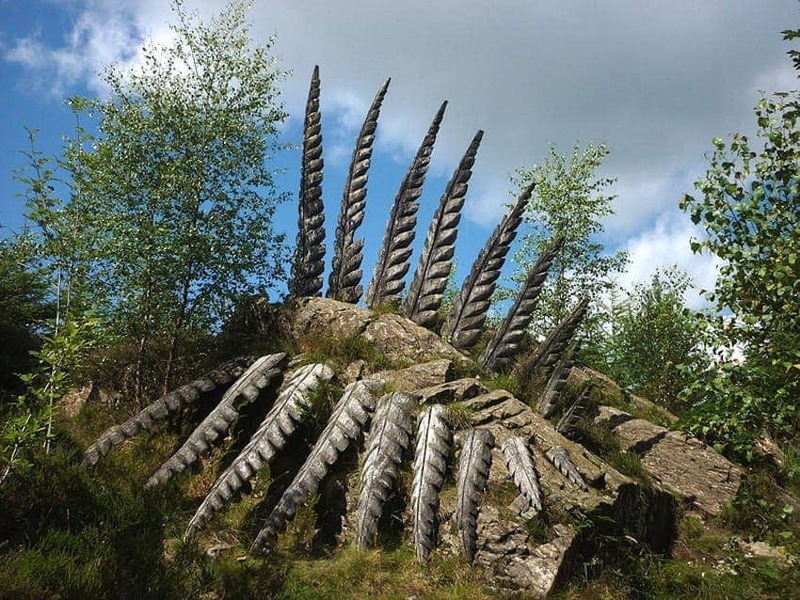 Grizedale Forest is in the Lake District, North West England, near Hawkshead. Scattered throughout the forest are approximately 90 sculptures, often made from naturally occurring materials such as stone and wood. Many of the sculptures are hidden in places that inspired the artist. The locations are shown on a map and you can visit them on foot or by bike. New sculptures are added each year. Others are allowed to naturally decay back into the forest so the collection is changing all the time. The project won the 1990 Prudential Award for the Arts.